GRO stands for the General Register Office. There are three main GRO offices in the United Kingdom, one for England and Wales, Northern Ireland and Scotland. The task the GRO is most commonly known for is the civil registration of events such as births, stillbirths, marriages, deaths, civil partnerships and adoptions. Their services in regards to these events involve that events are administered correctly and registered accurately according to current Acts such the Civil Partnership Act and the Gender Recognition Act 2004. The Gender Recognition Act 2004 was brought into effect on 4th April, 2005. This act allows transsexual people to legally change their gender. It also enables a new birth certificate to be issued which carries the new legal name and gender. While certain agencies can access the register, it will not be open to the general public. 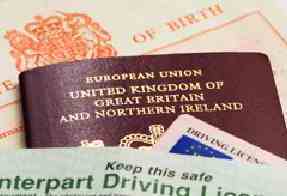 The certificate is identical to any other official birth certificate, and does not show a connection to the earlier birth certificate. The General Register Office can also issue official certified copies of certificates. They can issue birth certificate, death certificate, marriage certificate, adoption certificate and civil partnership certificates, as a copy of all registrations is retained at a national level. The GRO was established in the 19th century in 1836 in preparation for civil registration, which begun in 1837 in England and Wales. In 1972 the GRO was integrated into the OPCS, the Office of Population Censuses and Surveys, and then later became part of the ONS, the Office of National Statistics. As part of this remit, the General Register Office will also be involved in the collection and publication of information relating to population, such as the current population size, and the geography of the population, and censuses. The head of each General Register Office is the Registrar General.